Minister of Textiles and Information & Broadcasting, Smt. Smriti Zubin Irani has said that India is a land of festivals, celebrations, dynamic youth and stories, where in stories were told in over 1600 dialects. Minister said this while addressing the opening ceremony of 48th international Film Festival of India in Goa.Elaborating further, Smt Smriti Zubin Irani said that the endeavor of Government of India through International Film Festival of India is to invite film makers from all over the world to the land of stories. 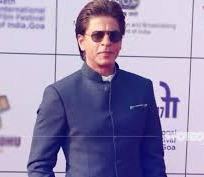 Speaking on the role of IFFI, Minister said that the festival will help the film lovers to meet the biggest and brightest names of Indian film industry.